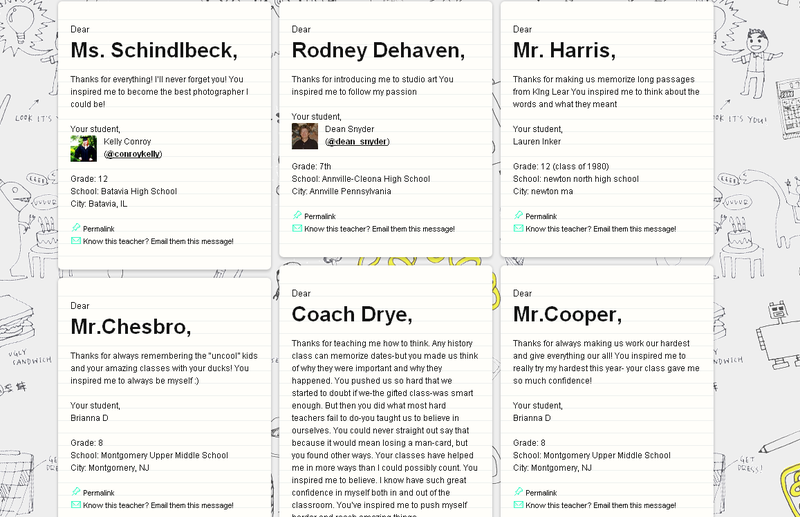 Thanks for Teaching Us is a nice tribute to teachers. 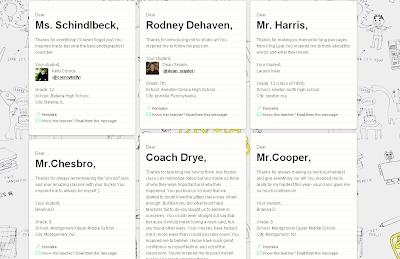 The site lets people submit short stories about how a teacher impacted their life. It's a nice read, especially with all of the attacks on teachers happening lately. Reading these stories can make a dark day brighter for a teacher.